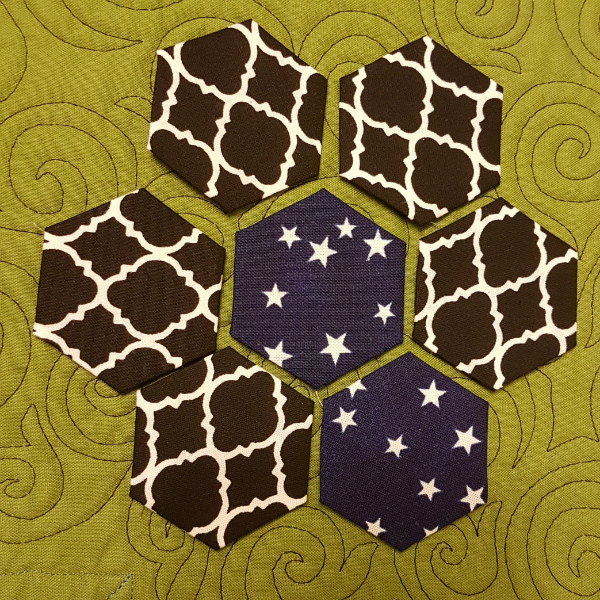 Over the course of the challenge I made 429 hexies, so that's a dent made in what I need for my Hexie Rainbow quilt. 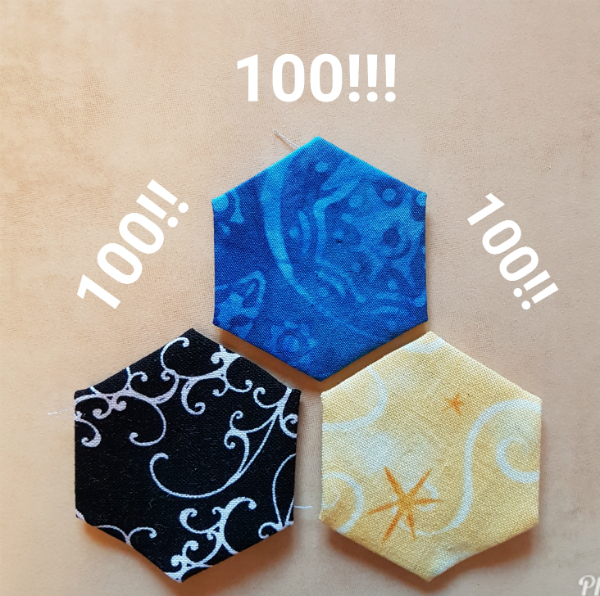 Actually, it's more than 1/4 of the 1661 hexies I'll need for that quilt. Progress, right? There were challenges each week. 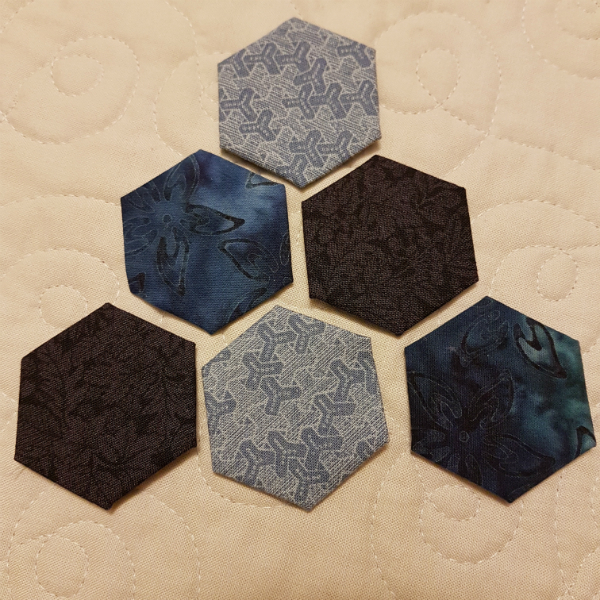 Since I was working towards my Hexie Rainbow quilt, I didn't want a lot of novelty prints (unless they fit my colour needs), so my participation in the challenges usually meant adding something that fit the theme to the picture. 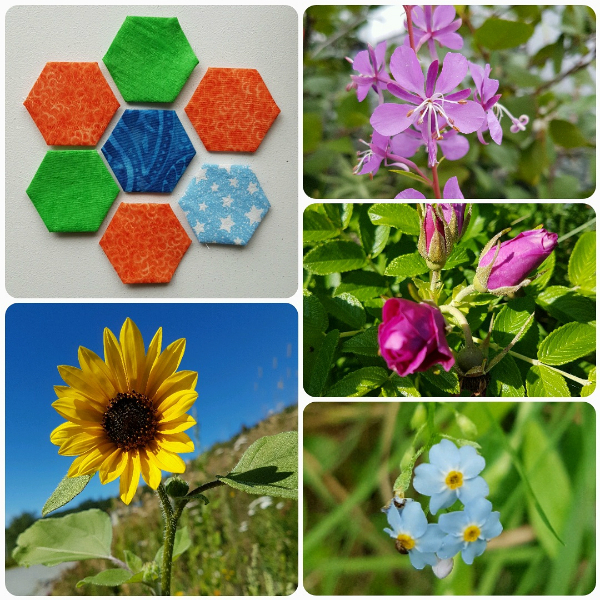 This collage is from the "my favourite things" week and shows my love for wildflowers. 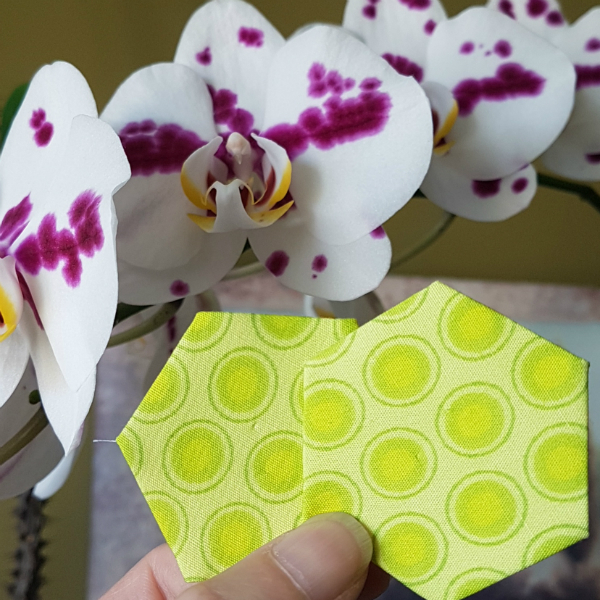 Though this looks like it probably belonged in "flowers" week, it was actually from "dots and stripes." The orchid is still blooming, too! 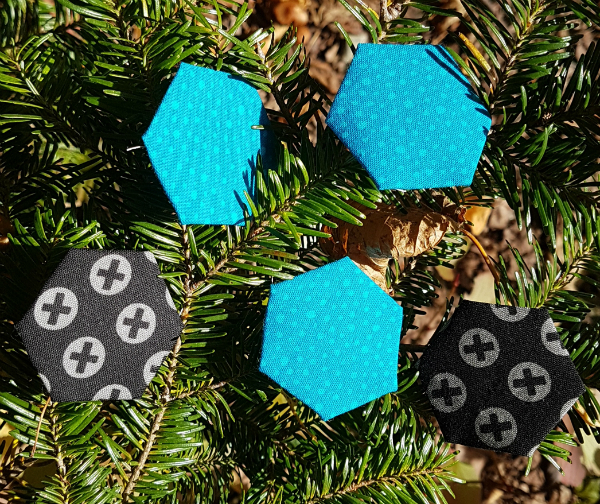 I have to admit that over the last week or so I've been a bit tired of hexies and thinking it will be nice to get a break. 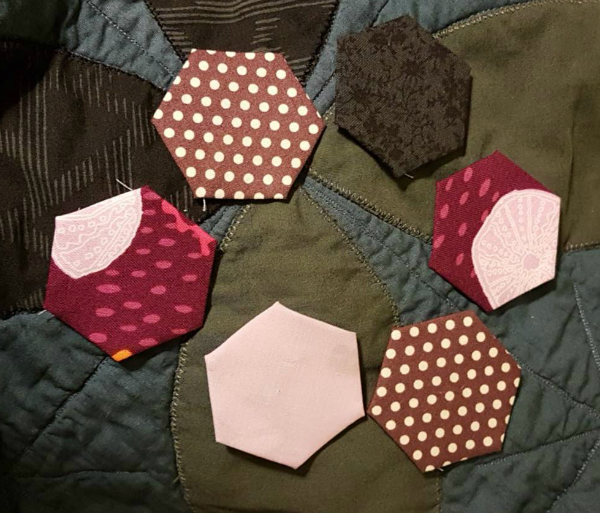 On the other hand, it was fun to see how only a few minutes each day added up to a lot of hexies in the end. I think I missed 4 or 5 days throughout the challenge, so I'm pretty proud of having kept up with it and I can see why 100 day challenges are popular. It's long enough to feel like you've accomplished something, without being too intimidating to even start. Maran, our host for the challenge, is already planning next year's version and I would imagine I'll be jumping on board again. 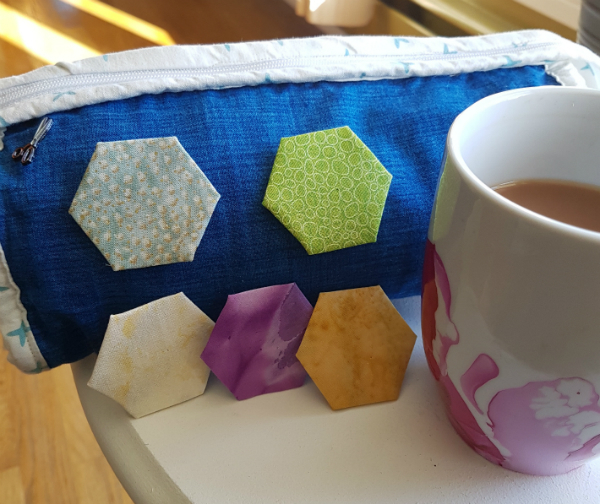 In fact, I'll probably still be working on the same quilt! Have you ever taken part in a 100 day challenge? How did it go? I never got off the ground with this one. And once you're so far behind, there's just no catching up. I did the Tula Pink 100 days last year.